Today I'll show you a step by step how to install latest Android Studio in Ubuntu Linux - The Android Studio is available in PPA for Ubuntu 14.04 Trusty Tahr / 16.04 Xenial Xerus / 16.10 Yakkety Yak / 17.04 Zesty Zapus and its variants i.e Linux Mint and Elementary OS. Android Studio was announced on May 16, 2013 at the Google I/O conference. It's android app development software / integrated development environment (IDE) for Android platform development freely available under the Apache License 2.0. 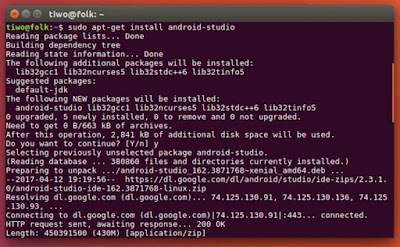 Installing Android Studio in Ubuntu and derivatives is pretty easy. Thankfully, there's an Ubuntu PPA that contains simple script to automatically download and installs the latest release from Google download server. 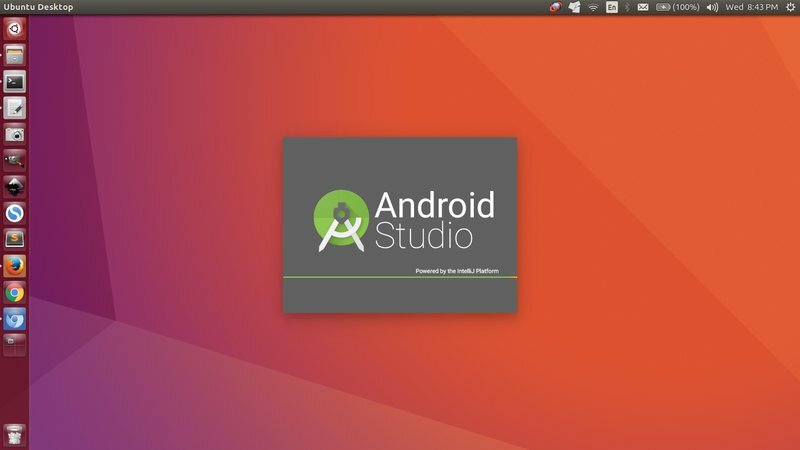 The screenshot above is how Android Studio splash screen look like in my Ubuntu 16.04 LTS Xenial Xerus. Well, lets jump to the main tutorial! Time to relax. Sit back and grab your coffee! Follow the instruction to completing the installation. That's it! 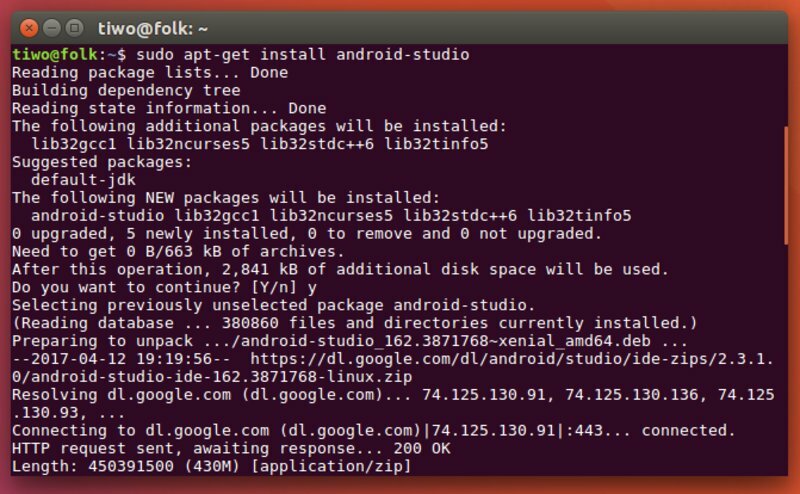 Hope this tutorial helpful for those who looking for a guide installing Android Studio in Ubuntu desktop. Thanks for reading and visiting Linuxslaves!